The Salescaster® Serial Clock is the perfect solution for a wide range of applications where accurate, synchronized time is required. 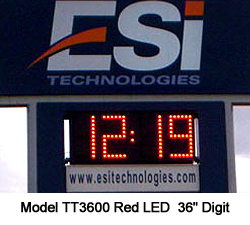 Now all your clocks can display the same precise time, whether in the office, factory, warehouse, school or retail business. 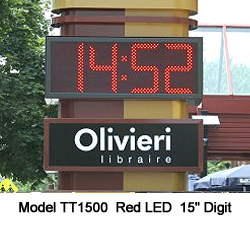 STAND ALONE OR NETWORK – The Serial clock may be used as stand-alone time displays or, be synchronized to a single master clock or PC. 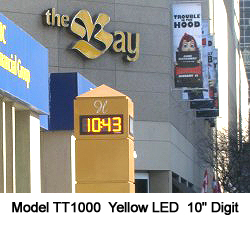 Each clock can provide a variety of time zones and 12 or 24-hour display formats. 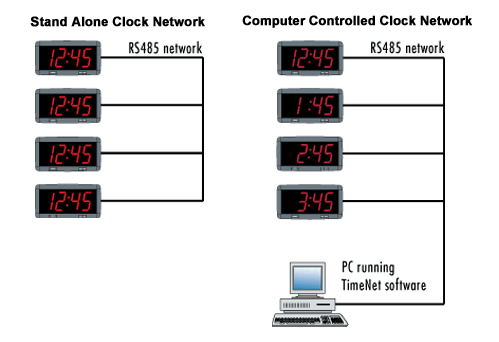 The PC controlled clock network requires optional Software and RS485 cabling and network components. 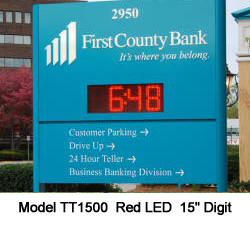 BATTERY BACKUP – With the battery backup capability, clock accuracy is unaffected by power failure, and maintains accurate time as soon as power is restored. 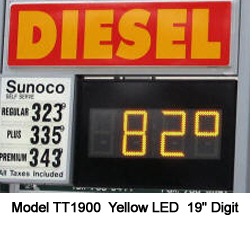 SUPERIOR READABILITY – Easily seen from across the room, these large, super-bright 4-inch digits are visible up to a distance of 150 feet. 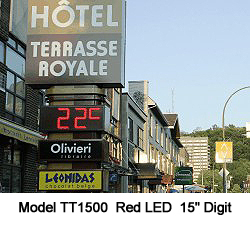 In situations where ambient lighting conditions change, the Serial Clock also features a dimming control. 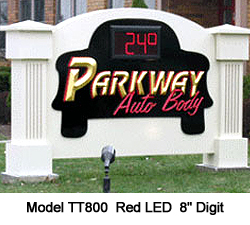 • Large super-bright 4-inch numerals. • Easy to read from distances of 10-150 feet. 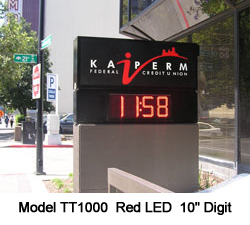 • Networkable – Clocks may be linked to display the same time or different time zones. • One master clock or computer sets the time for all clocks. • Lightweight, Euro-style case design. 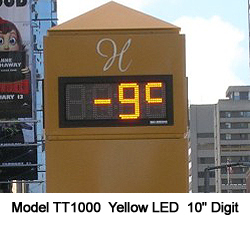 • Accurate hour and minute display. 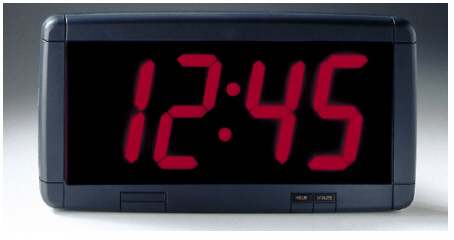 Switch-selectable 12 or 24 hour format. • Front access buttons for convenient time setting at master. • Extra long 18 ft. cord for standard wall outlet. • Synchronization: In Stand Alone operation, one Master clock sets the time of all the clocks, or using a computer, TimeNET software keeps all clocks synchronized. Synchronization In Stand Alone operation, one Master clock sets the time of all the clocks. 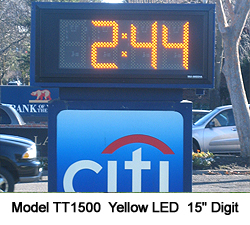 Or, using a computer, TimeNET software keeps all clocks synchronized.